Hamilton is an outspoken critic of Chinese influence who maintains Beijing was able to suppress publication of his book on the subject, Silent Invasion: How China is Turning Australia into a Puppet State. “Beijing knows that it cannot bully the United States – in the current environment the consequences would be unpredictable and probably counterproductive – so it is instead pressuring its allies,” he told his American hosts in Washington, DC. 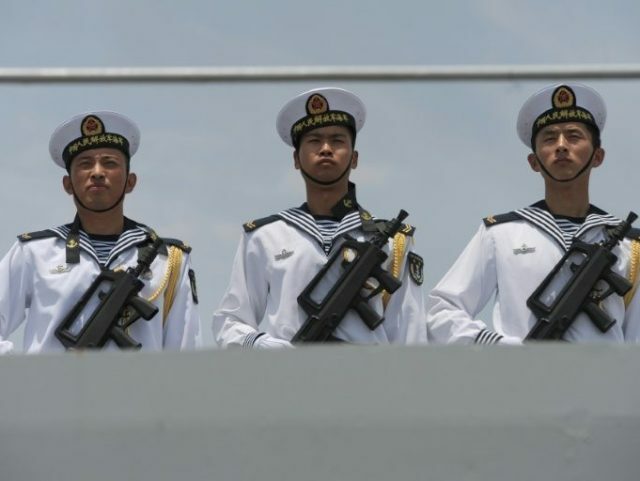 “Last week the PLA Navy challenged three Australian warships sailing through the South China Sea, simply for being there. It has scaled up its threats of economic harm unless Australia changes its ‘anti-China’ path. This psychological warfare is only Stage One, with real punishment to follow if needed,” he continued. Hamilton noted that in his own case, China was able to drive publishers away from Silent Invasion without explicitly threatening anyone. “No actual threats were made to the publisher, which in a way is more disturbing. The shadow cast by Beijing over Australia is now dark enough to frighten a respected publisher out of publishing a book critical of the Chinese Communist Party,” he said. After a number of both major and independent publishers backed away from his book, some of them expressly stating they feared blacklisting and loss of revenue from China, it was eventually published by Hardie Grant. Hamilton saluted the publisher for its courage in bringing his work to the marketplace. “It is no exaggeration to say that Australian universities now tiptoe over eggshells to avoid any action that may offend party bosses in China. Australian universities are now so closely tied into monetary flows and links with China that they have forgotten the founding principles of the western university,” he charged. Hamilton said one important element of this academic intimidation is that Australian scholars who study China fear their visas will be canceled if they speak out. Conversely, Australian universities worry that Chinese students will be restricted from attending their institutions, with a disastrous effect on enrollment and funding. Not all of China’s psychological warfare tactics are subtle. Hamilton told the committee that suspected Chinese operatives have been caught attempting to intercept his communications and gain entry to his office, and his computers were attacked with malware. He said he now requires security guards when he speaks in public. “I think the Communist Party and especially now under President Xi Jinping sees China as a hegemonic power that wants to dominate Asia and that includes Australia,” he said. “Australia is a very valuable prize for the CCP because we are an advanced Western nation allied to the United States at the end of the Southeast Asian region. So if Beijing can control Australia, they’ve won an enormous strategic advantage against the United States,” he warned. “Australian politicians and businesspeople are very, very afraid of what Beijing might do if we take any measure that displeases it, because people know that Beijing is capable of causing a great deal of economic pain to other countries when they are acting ways it doesn’t like,” he told Radio Free Asia.